Two perfectly reasonable people can read the same phrase and have drastically different interpretations. Just ask the U.S. Supreme Court. That happened recently in a troop in eastern Washington. The phrase in question relates to the National Outdoor Awards, and a Scouter contacted me looking for guidance. But before I get to his question and the expert’s response, let me put in a quick plug for the National Outdoor Awards, which I first told you about in 2010. The awards are earned by Boy Scouts and Varsity Scouts who demonstrate knowledge and experience in the outdoors. There are five segments: Camping, Hiking, Aquatics, Riding and Adventure. They’re a ton of fun to earn, and they reward Scouts for doing things they love to do anyway. 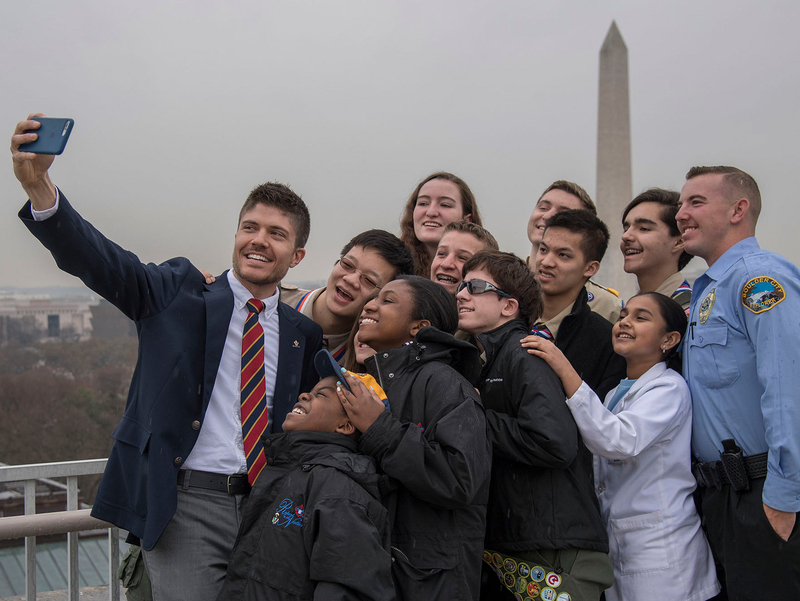 Scouts who go above and beyond can earn National Outdoor Award Devices and even the National Medal for Outdoor Achievement. See the full list of requirements here. The National Outdoor Awards use the word “auspices” to describe qualifying activities. The question is what “auspices” means? Some people believe that this means that the requirements must be completed as part of organized unit activities and that any activity performed as an individual Scout, even if performed with the intent of earning the award, does not qualify. Here’s the clarification from Eric Hiser, member of the Camping Task Force who was also the designer and developer for the award. In other words, he knows of what he speaks. Any activity undertaken as part of the referenced merit badge(s) for the badge or medal. A “BSA unit activity” may include some individual efforts not part of the group: e.g., a pre-conditioning exercise where all unit members commit to and actually ride their bikes X miles a week prior to a big troop bike ride. It is not meant to include activities that the Scout undertakes that are unrelated to Scouting — e.g., family or church group camping, running as part of the school cross-country team, etc. In some cases, an individual Scout could work toward a Scouting award and that could be counted at the discretion of the Scoutmaster. Such periods of time should be relatively short and focused on the award in question. That seems pretty clear. If it’s an activity he completes with his troop or team, it obviously qualifies. If it’s part of a BSA individual program, such as Philmont’s OA Trail Crew, that counts. If it’s part of a Scout’s work on merit badges like Hiking, Camping, Swimming, Cycling, Wilderness Survival, etc., it counts. On the other hand, activities like practice with the school swim team, running during P.E. class or a family camping trip to a nearby state park wouldn’t count. Thanks to our questioner and to Eric Hiser for the guidance. You can email me your Ask the Expert questions, and I’ll try to track down an answer. But first, please browse past Ask the Expert posts to see if any of your questions were already answered. Which side does the American flag go on when marching or at ceremonies?